The above arrived today as further evidence that my descent into nerdery is continuing apace. 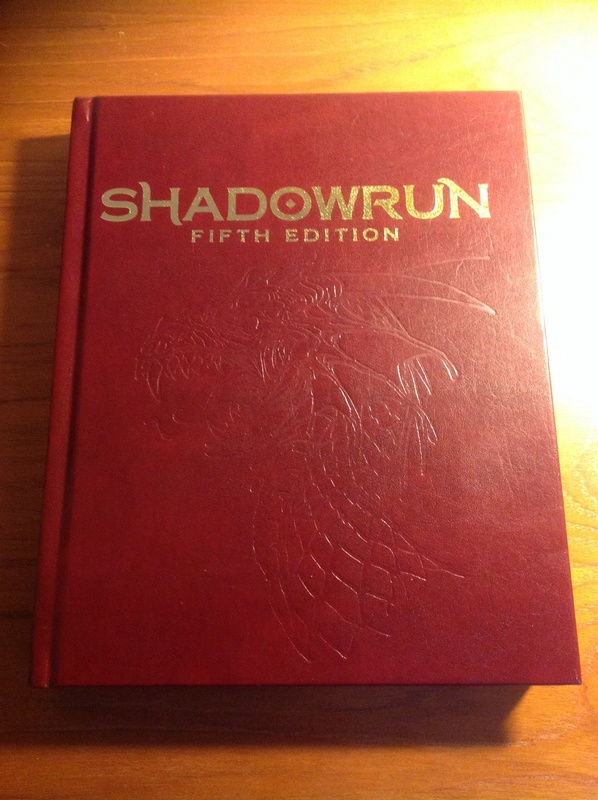 It’s the Shadowrun 5th edition limited edition rulebook. Dragon-embossed leather cover, gilded page edges… It is a thing of beauty. Needless to say I’m unlikely to ever use it to any great extent. Good thing the purchase came with a pdf download as well. Do I need this thing? No. Does it speak to my very soul as a book lover? Oh my yes. This entry was posted in Books, Uncategorized and tagged rpg, Shadowrun, Shadowrun 5th edition. Bookmark the permalink.